Ganhadora de Working Cow Horse nos EUA. Ganhadora de U$46.828,00 em Working Cow Horse pela NRCHA. 3º lugar no NSHA Snaffle Bit Open Futurity, 3º lugar no Northwest RCHA Derby Show Open, 5º lugar no NRCHA Open Derby, finalista no NRCHA Open Derby, etc. Sua mãe, Shiners Lil Pistol, é ganhadora de U$75.204,00 em Working Cow Horse, sendo 3º lugar no NRCHA Snaffle Bit Open Futurity, é produtora de +U$165.000,00 em Working Cow Horse, e, é filha de Shining Spark (ganhador de U$62.674,00, produtor de +U$10,3 Milhões e avô materno de ganhadores de +U$18 Milhões) e Colonel Lil Pistol (Produtora de +U$362mil em Apartação, Rédeas e WCH). SAN JO FRECKLES (c. by San Jo Lena). $83,564: finalist in the NRHA Open Futurity; Congress Open Reining Futurity Reserve Champion; _SET Reining Finals Reserve Champion; Carolina Classic Open Derby Champion; World Eauestrian Games Team Gold and Individual Gold. SHINERS LIL PISTOL (f. by Shining Spark). $75,204: 3rd, 2006 NRCHA Open Futurity; 6th, 2006 NSHA RCH Open Futurity; finalist in the 2007 NRCHA Open Derby; 2007 Klamath Falls RCH Open Derby Reserve Champion. SANJO COLONEL (g. by San Jo Lena). $73,011: PCCHA 5/6-Year-Old Open Classic Reserve Champion; Chevy West $50,000 Amateur Reserve Champion; NCHA Certificate of Ability. SANJOS PISTOLETTE (f. by San Jo Lena). $21,718: PCCHA 3-Year-Old Non-Pro Futurity Co-Reserve Champion, 4th in the Amateur. SANJO FRECKLES (g. by San Jo Lena). 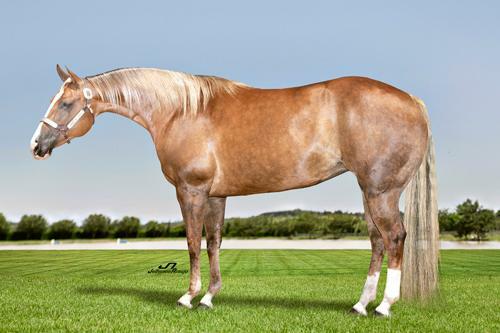 $11,496 and 92 AQHA points: AQHA Reserve World Champion Senior Working Cow Horse; top 10, Congress Open Reining Futurity; West Coast Spectacular 4/5-Year-Old Open Reserve Champion; AQHA Superior Reining. Sando Macho (g. by San Jo Lena). 24 AQHA points: AQHA Open ROM. Sando Stinger (g. by San Jo Lena). 10.5 AQHA points: AQHA Open ROM.